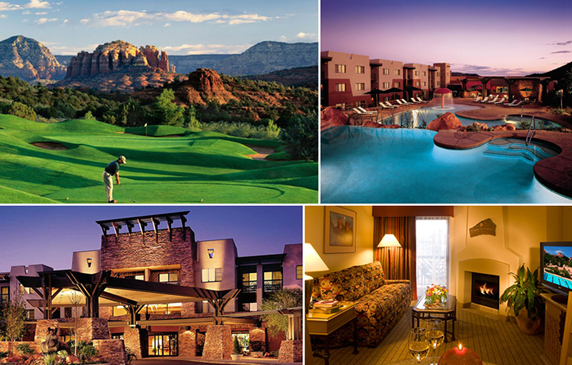 The Hilton Sedona Resort & Spa hotel is amidst the spectacular beauty of the magnificent red rock formations surrounding Sedona, AZ and offers guests the opportunity to experience "The Most Beautiful Place in America". The Hilton Sedona Resort & Spa hotel is just 90 minutes north of Phoenix, AZ with the Grand Canyon two and a half hours away. Hilton Resort & Spa hotel golf school students visiting Sedona, AZ can enjoy exquisite two room suites or deluxe guest rooms featuring high-speed internet access and their own fireplace and private balcony or patio. 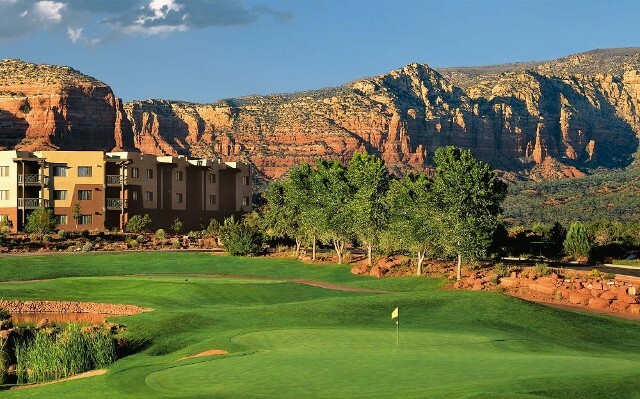 Hilton Sedona Resort & Spa hotel has onsite 18-hole championship golf course with the award winning clubhouse (golf school students get free green fees day of arrive), tennis, fitness classes, salon services, and body treatments at the Hilton Spa. In the summer, this Hilton resort offers a Kids Kamp children's program and a complimentary gift at the Hilton Vacation Station toy lending desk. Guests at the Hilton Sedona Resort & Spa hotel can enjoy great Southwestern specialties at The Grille at ShadowRock or poolside at the Blue Water Cafe, open seasonally. Rejuvenate with a light breakfast, lunch or an energy snack at the Compass Cafe in the Spa. Golf school students will delight with the practice & playing facility at Oakcreek Country Club, designed by the famous father and son team of Robert Trent Jones Sr. and Robert Trent Jones Jr., can truly be described as a work of art. 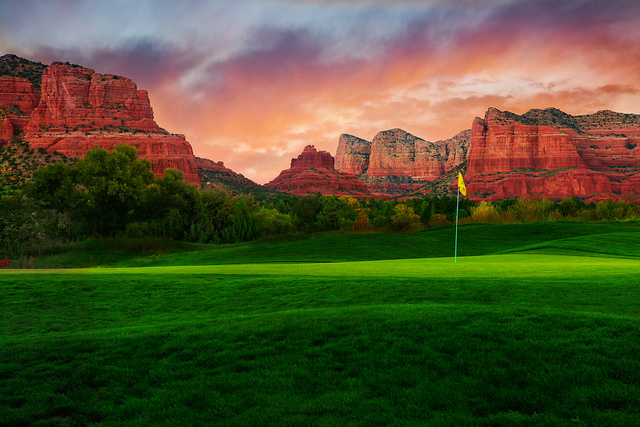 The par 72, 18-hole championship golf course is a masterpiece, nestled among the red rocks of Sedona, Arizona with views beyond compare. The course has a traditional layout similar to those that you may find in the midwestern United States. In the usual Trent Jones manner, the fairways are classic tree lined doglegs with fairway bunkers strategically placed in the landing areas, and the greens are all slightly elevated and surrounded with large swirling greenside bunkers. 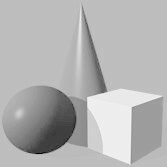 The course is "player friendly", allowing plently of room for error but always with an opportunity to recover and get errant shots back into play.